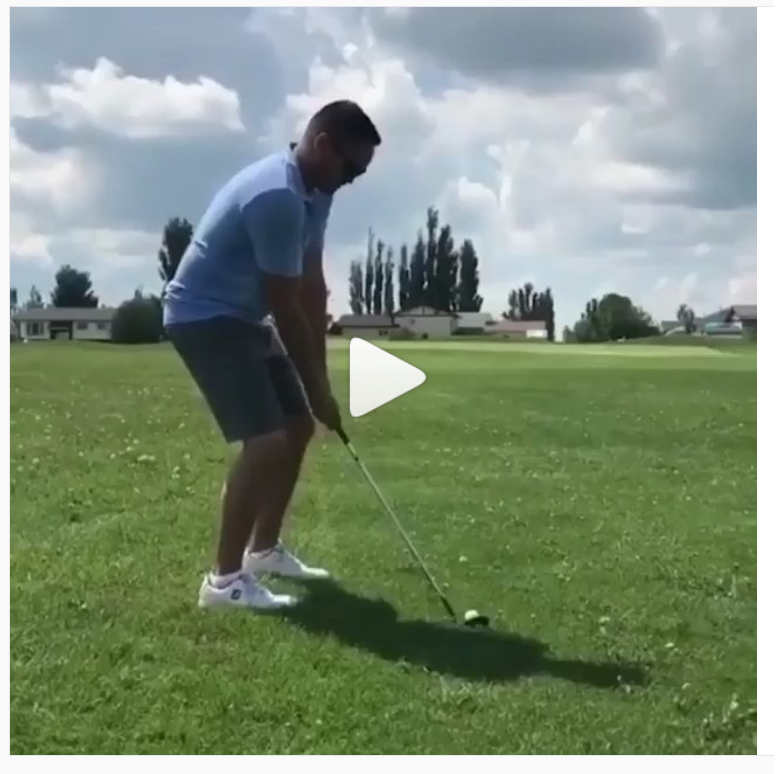 This week’s honours go to this weekend warrior, who managed to strike three different things with one regrettable swing: his ball, his cart, and his noggin. 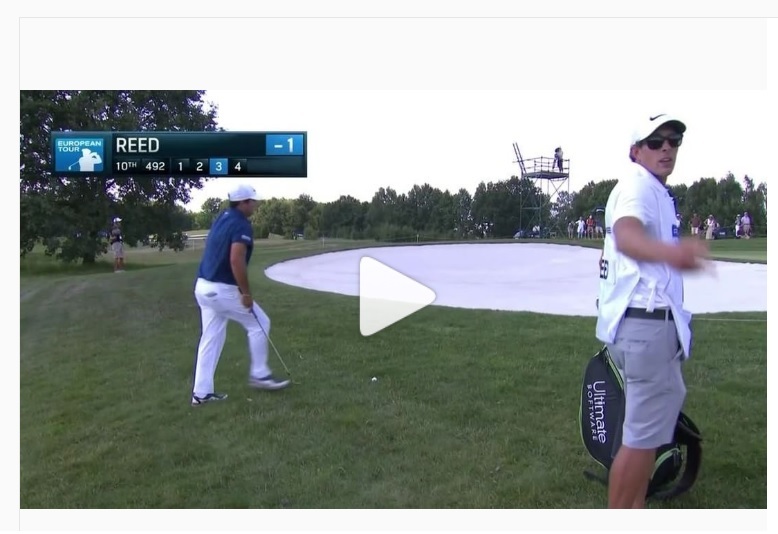 Patrick Reed refused to hit his shot on the 10th hole in Thursday’s opening round at the Porsche European Open until the camera crew that was filming the American’s shot moved away from him completely. According to Reed and his caddy, Kessler Karain, one of the camera operators was intentionally jiggling his pocket change while Reed was standing over the ball. This is not the first time this year that Reed has gotten into a tiff with a tournament worker. In early March, the reigning Masters champion was filmed arguing with a tournament official during the Arnold Palmer Invitational after being refused a free drop. 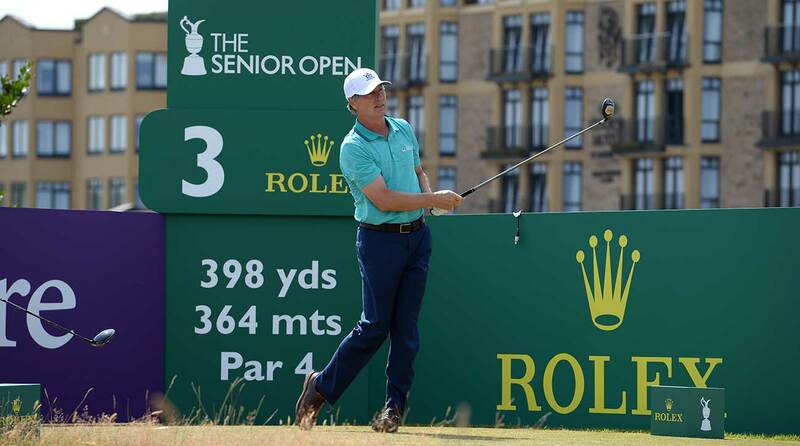 It is usually the combination of blustery winds and the intrusive placement of the Old Course Hotel that gives golfers major anxiety on St. Andrews’s iconic Road Hole. 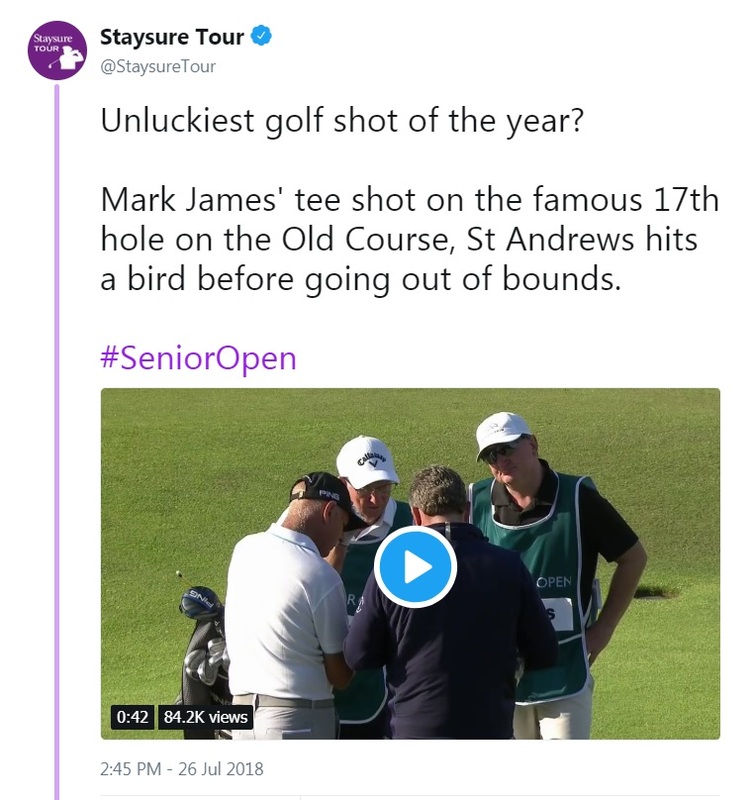 But 64-year-old pro Mark James encountered a far more unique obstacle on the 17th hole on in his opening round at the Senior Open Championship after his tee shot collided with a seagull in mid-air and deflected out of bounds. James, who won the Senior Players Championship in 2004, was forced to re-tee and went on to make a triple-bogey on the hole. 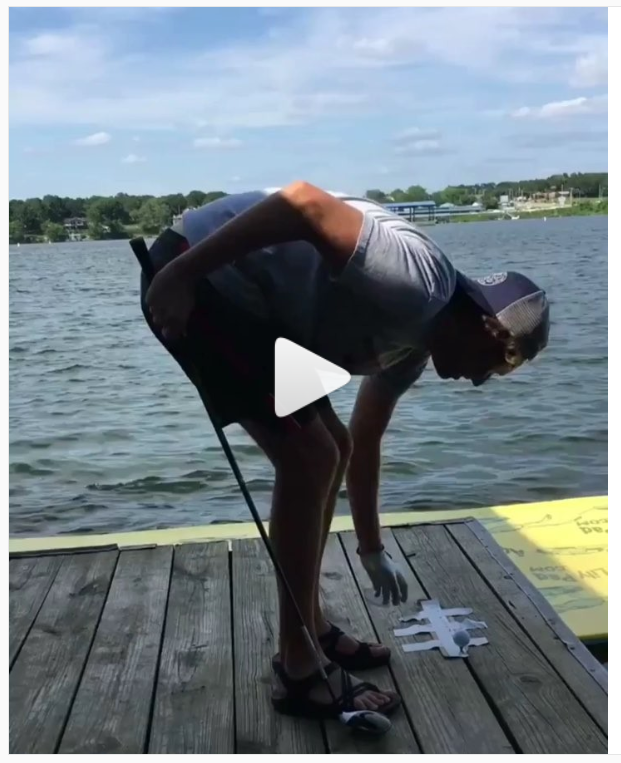 Hitting straight drives off a dock wearing nothing but sandals is difficult; catching drives barehanded while standing in the middle of a lake on a paddleboard is impossible. Well done, lads! You might remember the Web.com Tour’s Michael Arnaud from the BMW Charity Pro-Am in May when he went 9-under par in a seven-hole stretch en route to his first career victory. 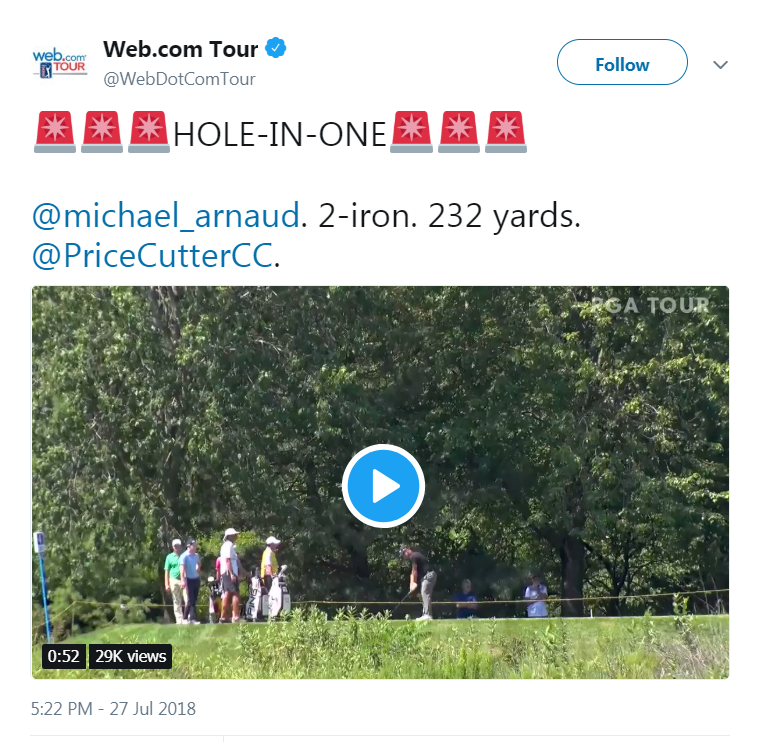 If not, you will surely remember him for this miraculous 232-yard ace he made at the Price Cutter Charity Championship on Friday afternoon.